GOOD LUCK FRIENDS, MAKE SURE TO USE THE INCREASE CHANCES FEATURE TO GET MORE CHANCES TO WIN! The winner of the lottery #1174 for 3x LG HG2 High Drain IMR Batteries - 100% AUTHENTIC was Andre Bischof from Lemgo, Germany on Feb 8, 2019. 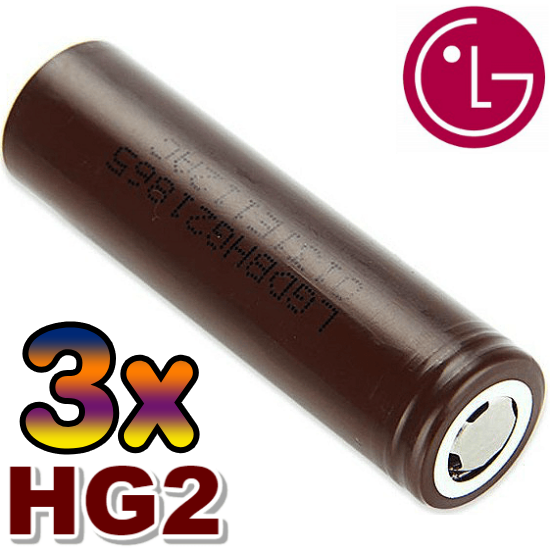 The LG HG2 18650 20A 3000mAh battery is a high performance battery that will work great with all the variable voltage and variable wattage mods in the market. CLAIM YOUR CHANCE AND ENTER THE GIVEAWAY WHILE THERE IS STILL TIME! CLAIM YOUR CHANCE AND ENTER THE GIVEAWAY WHILE THERE IS STILL TIME!